Check out the new pet food on the shelves at Argyle Feed & Hardware, VetDiet Pet Food. 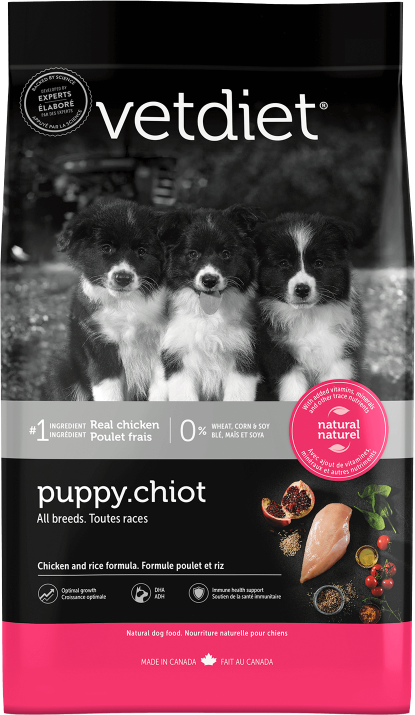 This feed targets specific pet needs by creating food from the highest-quality natural and functional ingredients to deliver healthy nutrition. The combination of these ingredients delivers an overall healthy diet. They don’t compromise the health of pets for the sake of being more natural. Ingredients include key elements such as mint, fish oil, flaxseed, salmon, lamb and New Zealand green mussels. To find out what products VetDiet offers for both dog and cats, check out their website here. We offer both a full line of VetDiet dog and cat foods. Have questions, let us know. Give us a call or stop in, we are happy to discuss this new line of pet food. This entry was posted on Monday, October 29th, 2018 at 5:30 pm	and is filed under News & Updates. You can follow any responses to this entry through the RSS 2.0 feed. Both comments and pings are currently closed.